Under the direction of conductor Robert Istad and guest conductor Karen P. Thomas, the Pacific Chorale will be performing the United States premier of "From the Wingbone of a Swan" as part of their Unsung Heros concert. Under the direction of Jennifer Lester, The Seraphim Singers will be presenting "We Bloomed In Spring" as part of their Women's Perspectivesconcert. Under the direction of Jennifer Lester, The Seraphim Singers will be presenting "We Bloomed In Spring" as part of their Women's Perspectives concert. Mezzo-soprano Adriana Zabala has commissioned a new art song duet based on poetry by Walt Whitman. The piece will be premiered by Zabala, baritone Andrew Garland, and pianist Kelly Kuo in Austin, Texas. Mezzo-soprano Emily Jaworski and pianist Christopher Steele will be performing "Questo Muro" in a Faculty recital at the University of Alabama at Birmingham. More information about this recital will be posted as it becomes available. Cherchez la Femme (Lisa Goethe-McGinn, flute and Erica Lessie, cello) will perform "Land Meeting Sky" in their Morning Music Among Orchids concert. Under the direction of Sébastien Lachaume, Montréal-based Le Chœur du Brouhaha will be performing "Clay Jug" as a part of their Des Contrées aux Étoiles (The War of Stars) concert. More information about this concert can be found here. Pre-concert talk with Donald Nally at 4pm in the Burleigh Cruikshank Memorial Chapel. Ann DuHamel, pianist and faculty member at The University of Minnesota - Morris, will be performing the world premier of Rückblick, a new work for solo piano in her faculty recital at UMM. Under the direction of Eric Rubinstein, the QC Women's Choir will be performing "The Bike Let Loose" at Queen's College. The Canzona Women's Ensemble of San Luis Obispo, California will be performing "The Bike Let Loose" as part of a concert program features singer and audience favorites. With the debut of their new artistic director, Dr. Dwight Jilek, Minneapolis-based choir Magnum Chorum will be performing "Marvellous Error!" as part of their "Be Not Afraid, Cathedral Concert." 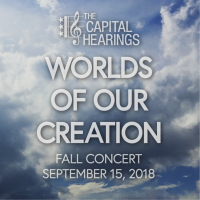 Washington D.C. based ensemble, The Capital Hearings will be performing "Alma Beata Et Bella" alongside the music of Ted Hearne, William Byrd, Moses Hogan, Duke Ellington, Stevie Wonder, Sara Bareilles, and others as part of their Worlds of Our Creation concert. Under direction of Bruno Deletre, L’Ensemble Vocal la Chapelle du Hainaut will perform "We Bloomed In Spring" in Valenciennes, France. Soprano Bethany Battafarano will be performing "The Book of Hungers" from Between the Limbs, Music at this year's Source Song Festival in a concert featuring the art songs of Minnesota composers. Edie is currently in residence to compose an official school song for Friends School of Minnesota in honor of the school's 30th anniversary. The song will be premiered at Friends School's graduation ceremony on June 8th, 2018. Edie's "We Bloomed in Spring" will be performed by Ensemble Companio under the direction of Erik Peregrine as part of their The Greening concert. More information about The Greening can be found here. A program of Edie's work will be featured in a Courtroom Concert at the Schubert Club. Canadian chamber choir, Wascana Voices will be performing "A Little Lovely Dream" in a concert on on April 22nd in Regina, Saskatchewan. More information about The Greening is available here. Under artistic director Eric A. Johnson, Cor Cantiamo will be performing "Clay Jug" in the first concert of their season. Edie Hill is currently in residency at Friends School of Minnesota, "an independent K-8 progressive, Quaker school in St. Paul, Minnesota." She is working with the students to write an official school song for Friends School in honor of the school's 30th anniversary. The new song will be premiered at Friends School's graduation ceremony on June 8, 2018. Flutist Susan Conant will be performing "Winter Solidude" from This Floating World as part of a Winter Solstice Cantata. Flutist Lisa McGinn will be performing This Floating World in "Con Anima," a concert aimed to raise scholarship funds for local instrumentalist music students. The concert is sponsored by the Western Springs Music Club. This Floating World was performed by Flutist, Lisa McGinn at First United Methodist Church of La Grange. In a recital of Brazilian and North-American Music, soprano Regina Stroncek and pianist Larissa Paggioli will present "Autumn Dusk" from Between the Limbs, Music. The Chicago Chamber choir, under the direction of Christopher Windle (in his premier season with the ensemble) will be perfoming We Bloomed In Spring. Saturday, October 21 at 7:30St. More information can be found on the ensemble's website. In a dream-themed recital featuring works by Brazilian and American composers, soprano Regina Stroncekand pianist Larissa Paggioli will be performing "Autumn Dusk" from Edie's cycle Between the Limbs, Music. Flutist, Zara Lawler will be performing This Floating World in a concert featuring Minnesota composers at the Minneapolis Convention Center as part of the 45th Annual National Flute Association Convention. Mezzo-Soprano KrisAnne Weiss and Pianist Maggie Hinchliffe will be performing "Hummingbirds" and "Ballads For Sale" in the Music of MN concert at the Source Song Festival. Flutist, Lisa Goethe-McGinn and cellist, Erica Lessie will be performing Land Meeting Sky in a concert featuring Minnesota composers at the Minneapolis Convention Center as part of the 45th Annual National Flute Association Convention. MPLS (imPulse), under the direction of Samuel Grace will be performing "Thinkers, Listen!" as a part of their Won't You Be My Neighbor program in collaboration with In the Heart of the Beast Puppet and Mask Theatre. "Will you be my neighbor? MPLS (imPulse) joins Bart Buch and In the Heart of the Beast Puppet and Mask Theatre for a staged summer production celebrating Phillips Neighborhood of Minneapolis. The performance will feature music and staged vignettes with puppets that utilize texts and themes from residents living in Phillips. The event will culminate with a parade and outdoor celebration following the performance." The Singers-Minnesota Choral Artists, under the direction of Matthew Culloton, will be performing "Poem for 2084" as part of their An American Pastiche concert. "American choral music from the middle of the 20th century has a fresh vitality that resonates today! Cecil Effinger’s Four Pastorales, Louise Talma’s Let’s Touch the Sky, and Samuel Barber’s Reincarnations share the program with other works by Stephen Paulus, Dominick Argento and Ned Rorem." Saint Paul Vocal Forum under artistic director Karin Barrett will perform "Thinkers, Listen!" as part of their spring concert. "A Sprig of Rosemary: A Remembrance" from Giver of Stars: Six Poems of Amy Lowell will be performed by tenor, Paul John Rudio and pianist, Grant Mack in a set of art songs by Minnesota composers. The Crossing, under the direction of Donald Nally, will perform Edie's Cancion de el alma as a part of their concert The Crossing @ Christmas. The University of Louisiana - Lafayette Chamber Singers, under the direction of William Plummer, will perform Alma Beata et Bella as a part of their concert for Louisiana ACDA Fall Conference on November 4th, 2016. The Valborg Ensemble, under the direction of Árpád Schermann, will be performing Edie Hill's The Bells and An Illuminated Transience on their tour throughout the Netherlands. Taylor Burkhardt, piano, and Regina Stroncek, soprano, will perform Edie's song cycle Between the Limbs, Music on their program "Recital of the Americas" on Tuesday, October 25th. Edie Hill was invited to give a guest lecture on the topic of "Love Songs", at Winona State University on Wednesday, September 21st, 2016. Lauren Urquhart, soprano, and Nanyi Qiang, piano, will perform excerpts from Edie's song cycle, Between the Limbs, Music, as a part of the MN Duo program's "Music of MN" recital. Anne Agresta Dugan, soprano, and John Gilmour, piano, will be performing Edie Hill's song cycle,Between the Limbs, Music, on their upcoming concert "What's Love Got to Do With It?" : A recital of song featuring works by Strauss, Debussy, Fauré and Schubert, alongside cycles by American composers Tom Cipullo and Edie Hill. Anne Agresta Dugan, soprano, and John Gilmour, piano, will be performing Edie Hill's song cycle, Between the Limbs, Music, on their upcoming concert "What's Love Got to Do With It?" : A recital of song featuring works by Strauss, Debussy, Fauré and Schubert, alongside cycles by American composers Tom Cipullo and Edie Hill. Tantalus Quartet will be playing Edie Hill's Above the Green Night in concert as a part of the New Mexico Classical Guitar Festival. Tantalus Quartet has dazzled audiences across the globe with their warm stage presence and their "perfect ensemble: (Reinisher Post, Germany). Tantalus expands the confines of the traditional guitar quartet with new music by award-winning composers among "diverse and orginal" programming (Richard Long, Soundboard). This tradition continues with their second CD release: Foolish Fire, featuring world-premiere recordings of original works written for the Quartet. Tantalus has appeared at important venues including Carnegie Hall, the Guitar Foundation of America Convention, the Mostly Music Series Chicago, and festivals in Canada and Europe. Included in the performance will be works by Kristian Anderson, Edie Hill, Philip Houghton, Roland Dyens, and Clarice Assad. For more information, visit Tantalus' website. The 1732 Chœur de Chambre, under the direction of Bruno Habert, will perform Hill's We Bloomed in Spring as a part of their concert "Sweet Music Suite" in Nice, France. "In creating the very first semi-professional vocal ensemble in the Alpes-Maritimes in France, the 1732 Chœur de Chambre takes on an effort that is at the same time artistic, humanist, and pedagogical. We wish to construct an ensemble of the highest quality and defend, to as large an audience as possible, a culture that is completely abandoned by the televised media. We wish to offer that which we love and defend: classical music, sacred music, not only in the religious meaning of the term but in the sense of the engagement of everyone and the love of music." Free-will contribution collected for the concert. The 1732 Chœur de Chambre, under the direction of Bruno Habert, will perform Hill's We Bloomed in Spring as a part of their concert "Sweet Music Suite" in Le Cannet, France. The Lyrebird Choirs, under the direction of Anika Kildegaard and Cassandra McNally, will perform The Bike Let Loose on their program A Spring Concert on Saturday, May 21st. For more information about the Lyrebird Choral Program, click here. A free-will donation will be collected to fundraise for Lyrebird Choral Program's 2016-2017 programming. The 1732 Chœur de Chambre, under the direction of Bruno Habert, will perform Hill's We Bloomed in Spring as a part of their concert "Sweet Music Suite" in Menton, France. The 1732 Chœur de Chambre, under the direction of Bruno Habert, will perform Hill's We Bloomed in Spring as a part of their concert "Sweet Music Suite" in Cap d'Ail, France. The Chamber Singers of Haverford and Bryn Mawr Colleges, under the direction of Thomas Lloyd, will perform Edie Hill's An Illuminated Transience as a part of their Annual Commencement Concert. This event is free and open to the public - all are welcome! For more information, visit Haverford College's event page. Nicole Riner will be performing Edie Hill's This Floating World at the University of Southern Mississippi in April. Praised for her "luscious, full sound" (American Record Guide) and "effortless precision" (Flutist Quarterly), Nicole Riner maintains an active national presence as a recitalist and pedagogue. She has presented masterclasses at universities and conservatories across the country and has performed as a guest artist with orchestras and at summer festivals, chamber music series, and flute fairs in the United States, South America, and Europe. A champion of contemporary music, Nicole has also commissioned and premiered over twenty works by numerous composers both as a soloist and with her chamber group, Verismo Trio. For more information, visit Nicole Riner's website. This performance is preceded by a 2:00 PM panel discussion on racial justic issues, and followed by a reception at 5:00 PM. The panel discussion on racial justice issues will include questions from the student singers and the audience convened by the Very Rev. Judith Sullivan, Dean, Philadelphia Episcopal Cathedral and the Rev. Dr. Chaz Howard, Chaplain, University of Pennsylvania, with distinguished panelists : Marshall Mitchell, Kameelah Mu'Min Rashad, Dr. Terrance Wiley, Cecily Harwitt, and Rev. Dr. Katie Day. For more information visit Haverford College's event page. The Chamber Singers of Haverford and Bryn Mawr Colleges, under the direction of Thomas Lloyd, will perform Edie Hill's An Illuminated Transience as a part of their program Race Matters - Singing Across the Color Line. This concert together with the Lincoln University Choir, Edryn Coleman, director, will take place at Lincoln University at 8:00 PM. This special collaboration is in response to the Black Lives Matter movement and the racial justice issues that inspired it. Minneapolis-based MPLS (imPulse) , under the direction of Samuel Grace, will perform Edie Hill's Clay Jug as a part of their upcoming concert, Infinity and Beyond. This program is in partnership with the Como Planetarium and features choral music on the theme of planets, the solar system, and galaxies. Audiences will experience a projected planetarium performance while MPLS (imPulse) performs, guided by a Planetarium staff member. Refreshments will be served following the performance. "MPLS (imPulse) is a 24-voice festival chamber chorus based in Minneapolis, Minnesota. Founded in 2014 by Samuel Grace, the ensemble seeks to re-imagine traditional conventions in choral music and to engage audiences with eclectic music in diverse spaces. Artists in MPLS (imPulse) prepare music in advance of scheduled festival appearances where the ensemble rehearses, builds community, and presents a series of concerts throughout the region. We prioritize the performance of choral music that is eclectic in nature, and we do it in the most diverse spaces we can find." The women of the Minnesota Chorale, under the direction of Kathy Saltzman Romey, will be performing Edie Hill's The Bike Let Loose as a part of WomanVoice 2016: Peace Song at Ted Mann Concert Hall. WomanVoice 2016 celebrates the creative work of women in the arts through song and readings with choirs from the University of Minnesota, Augsburg College, and St. Catherine's University together with the women of the Minnesota Chorale. The Singers, under the direction of Matthew Culloton, will be performing two of Edie Hill's works, Marvellous Error! and We Bloomed in Spring, on their upcoming concert "My Soul's Repose". Founded in 2004, The Singers organization is dedicated to giving world-class performances of the finest choral literature. The Singers, a professional choir of 40 members, exists to serve as artists, educators, and ambassadors of the choral art. Recognizednationally for their innovative programming, commitment to new music, and peerless artistic quality, The Singers made their debut at the renowned Ravinia Festival in June 2013 and followed that with a second performance in the summer of 2014. Tantalus Quartet has dazzled audiences across the globe with their warm stage presence and their "perfect ensemble: (Reinisher Post, Germany). Tantalus expands the confines of the traditional guitar quartet with new music by award-winning composers among "diverse and orginal" programming (Richard Long, Soundboard). This tradition continues with their second CD release: Foolish Fire, featuring world-premiere recordings of original works written for the Quartet. Tantalus has appeared at important venues including Carnegie Hall, the Guitar Foundation of America Convention, the Mostly Music Series Chicago, and festivals in Canada and Europe. Included in the performance will be works by Kristian Anderson, Edie Hill, Philip Houghton, Roland Dyens, and Clarice Assad. Collaborating with Tantalus in their performance will be a selection of visual artists, dancers, poets, and storytellers producing a concert unlike any that you have seen before! Nicole Riner will be performing Edie Hill's This Floating World at masterclasses and recitals at universities in Virginia during the month of February. Lawrence University student, Emma Reading, will perform Edie Hill's This Floating World as a part of Erin Lesser flute studio's sophomore recital in Appleton, WI. The acclaimed Tantalus Guitar Quartet will perform Edie's Above the Green Night on November 15 as a part of Bethlehem Lutheran Church's Music Series concerts. The performance is free of charge. Tantalus Quartet has dazzled audiences across the globe with their warm stage presence and their "perfect ensemble: (Reinisher Post, Germany). Tantalus expands the confines of the traditional guitar quartet with new music by award-winning composers among "diverse and orginal" programming (Richard Long, Soundboard). This tradition continues with their second CD release: Foolish Fire, featuring world-premiere recordings of original works written for the Quartet. Tantalus has appeared at important venues including Carnegie Hall and the Guitar Foundation of America Convention. For more information, visit the Bethlehem Music Series website. Join Edie Hill on Thursday, November 5 at The Schubert Club for a free concert featuring her music! The performance will include the world premiere of Rincón del cielo for tenor and guitar and Clay Jug for SATB div. chorus. The Vermont Contemporary Music Ensemble (VCME)'s upcoming performance will feature Edie's Cold Blue Night, with Wendy Matthews featured on flute. The performance is called "Frevo | Unhindered by Genres." The performance will include an eclectic and exciting mix of music, including the music of Edie Hill. Attention, Philadelphia residents! Soprano Anne Agresta Dugan and pianist John Gilmour will perform Between the Limbs, Music at an upcoming recital in Philadelphia featuring works by American composers. The duo recently performed selections of the song cycle at the Source Song Festival in Minneapolis. For more information and directions to the performance venue, please see below. Edie is thrilled to be returning to the Source Song Festival for a second year, where she will be coaching song duos who will perform two of her song cycles. Mezzo-soprano Briana Moynihan and pianist Benton Schmidt will be performing The Giver of Stars: Six Poems of Amy Lowell. Soprano Anne Agresta Dugan and pianist John Gilmour will perform Between the Limbs, Music. All artists involved in the MNDuo program, including the above artists will present a recital featuring music by Minnesota composers. The performance is free of charge and open to the public. Join composer & passionate song advocate David Evan Thomas as he hosts colleagues Edie Hill, Jeffrey Van, Paul John Rudoi, Tim Takach, & Elizabeth Alexander in a panel discussion on the joys and challenges of composing songs. Insights into process, passions and pains, will make this panel a fascinating experience for all those in attendance. The event is $5 for students and $15 for general admission. American conductor and Minnesota native Bob Cowles will lead the Audite Chamber Choir (Finland) in a performance of Edie Hill's "An Illuminated Transience" in Helsinki, Finland on May 23 at the Helsinki Conservatory Music Hall. In celebration of the transition from winter to spring, Philip Brunelle and the Senior Choir at Plymouth Congregational Church in Minneapolis will perform two commisioned choral works by Edie Hill. The first, In Winter Dark, is a brand new work featuring a text by Els Schreuder, translated by Niels Moes. This piece will be paired with We Bloomed In Spring, which was commissioned and premiered last year. Based on the poetry of Daniel Ladinsky, We Bloomed In Spring is a perfect setting for this occasion. The performances will take place during worship at Plymouth. The Canzona Women's Ensemble will perform "The Bike Let Loose" at the close of their 30-minute set at the Tapestry International Celebration of Women's Choirs, sponsored by The Elektra Women's Choir. The Schubert Club will present a concert featuring the music of Edie Hill as a part of their Thursday Courtroom Concert Series. There is no charge for admission. Flutist Donna Hangen will perform This Floating World during Wright State University's "Celebration of Research, Scholarship, and Creative Activities" showcase event. The performance will take place in the Student Union, Room 163 Discover A. For more information and a complete schedule of events, click here. Carson Rose Schneider, a DMA candidate in Collaborative Piano at the University of Minnesota, will feature Edie Hill's "The Giver of Stars" for her upcoming graduate recital with mezzo-soprano Christina Christensen. "The Giver of Stars" is a song cycle for mezzo-soprano and piano. The performance will take place in Ultan Recital Hall in Ferguson Hall at the University of Minnesota campus. More information about the recital can be found here. The Canzona Women's Ensemble of San Luis Obispo, CA will perform The Bike Let Loose in a concert called "Canzona Takes Flight." Minneapolis-based MPLS (imPulse) will perform Edie Hill's We Bloomed In Spring as a part of their upcoming concert, Good Golly, It's Still Winter! 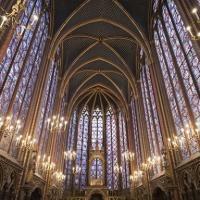 The concert will feature mostly secular winter repertoire. Complimentary beer and wine will be served during the performance. Conductor Daniel Reuss will lead the Nederlands Kamerkoor in the European premiere of Edie Hill's Cancion de el Alma, a piece that was premiered in the United States by Reuss in 2013 with the Estonian Philharmonic Chamber Choir. The piece is featured in a concert titled "In American Circles." The Netherlands-based Valborg Ensemble will perform "The Bells," for SSATB chorus, as a part of their upcoming winter tour titled "Mysterium." Among the performances this season, I am thrilled to announce that Cantus will be performing selections from A Sound Like This at Lincoln Center’s White Light Festival in New York this coming November 2nd at 11:00am! A Sound LIke This was commissioned by Cantus in 2006 under the auspices of a Chamber Music America Commissioning Grant. The Conservatory Singers of the University of Missouri-Kansas City, conducted by Dr. Robert Bode, will premiere Edie Hill's new arrangement of "Clay Jug" for SATB choir. "Clay Jug" is originally the third movement from A Sound Like This, which is written for nine-part male vocal ensemble. MPLS (imPulse) invites audiences of all ages to attend On Being, a choral concert that encourages us to reflect on the shared experiences in our lives. The performance will feature an eclectic mix of selections by Scandinavian composers Per Nørgård, Jaakko Mäntyjärvi, and Hugo Alfvén, as well as music by Twin Cities composers Edie Hill, Jocelyn Hagen, and Tim Takach. Edie Hill's Dog From Duluth will be featured during the performance. MPLS (imPulse) is a 24-voice festival chamber chorus founded in 2014 by Artistic Director Samuel Grace. The ensemble’s mission seeks to create a meaningful, community driven experience for its artists and to engage audiences in performance by expanding access to an eclectic repertory of choral music in diverse spaces. Artists in MPLS (imPulse) prepare music in advance of scheduled festival appearances where the ensemble rehearses, builds community, and presents a series of concerts throughout the region. Flutist Wayla Chambo will perform This Floating World in a recital of twentieth century works for flute and electronics. The recital is at Kenan Music Building at the University of North Carolina, Chapel Hill. The recital is free and open to the public. Join the MNDuo performing artists at Source Song Festival in a FREE showcase recital featuring the music of Edie Hill, Abbie Betinis, and David Evan Thomas. For more information and directions to the performance, click here. Clarinettist Andrew Lamy will perform Edie Hill's "Skylark," an excerpted movement and arrangement for E-flat clarinet from her solo flute work, This Floating World for the New Jersey Arts Collective's Awards Ceremony and Concert. The Vox Grata Women's Chorus in Nashville, TN will perform Edie's The Bike Let Loose as a part of their concert titled "The Poet Sings." The concert will take place at Westminster Presbyterian Church at 7:00pm. A free-will offering will be taken to benefit the YWCA Weaver Domestic Violence Shelter. Philip Brunelle and the Senior Choir at Plymouth Congregational Church in Minneapolis have commissioned Edie to present a new work titled, We Bloomed in Spring. Based on the poetry of Daniel Ladinsky, Edie is excited to present the new piece on Mother's Day at Plymouth at the first service and sanctuary service. The Twin Cities Women's Chorus is excited to perform The Bike Let Loose once more as a part of "Minnesota! Nice!" their 2014 Divas & Desserts Gala. Come enjoy a lovely silent auction followed by a performance by the choir. Doors open at 6:30pm for a live auction followed by a concert performance at 7:30. Tickets are $25 for adults, $22 for students and seniors, and $30 at the door. This week, the women of the University of Minnesota University Singers will perform The Bike Let Loose, conducted by assistant conductor Samuel Grace. The performances are a part of the choir's Minnesota run-out tour, which collaborates with Minnesota high schools. Thursday's concert will take place at Hamline United Methodist Church in Saint Paul. Friday's concert is at the Newman Center at St. Cloud State University in St. Cloud. The University of Minnesota University Singers are conducted by Kathy Saltzman Romey and Matthew Mehaffey. The student-run organization, Young Musicians of Minnesota, will perform Edie's Sherman: Scenes and Celebrations as a part of their concert on April 6 at Colonial Church of Edina. SHERMAN: SCENES AND CELEBRATIONS is a tribute to a small New England town on the occasion of its 200th birthday. Nestled in the hills of western Connecticut, Sherman has managed to preserve much of its small town flavor while growing to reflect the changes of 21st-century America. I chose to begin the piece with Naromi Brook because it runs from one end of the town to the other, passing though the very heart of the town much like the many people in the town’s history came through and made their mark. The second movement, entitled Overlook, is meant to depict a personal memory of a breathtaking vista I used to encounter when running hills on my high school cross country team. Finally, the piece ends with Fanfare. The music is celebratory and high-spirited, surrounding a recollection of both Naromi Brook and the Vista of Overlook and ends in a sparkling flourish. The performance will take place at 5:30. Flutist Wayla Chambo will perform Edie's This Floating World in a recital at Cal State Monterey-Bay on April 4. To read the full press release, click here. The recital begins at 7:00pm (PDT) in Music Hall, located on Sixth Avenue near Butler Street. Chambo will perform again on April 6 on the UC Berkeley campus. The cost for the performance is $10 for general admission and $5 for students. More information regarding the Berkeley performance can be found here. Mirinesse Women's Choir Spring Concerts - Life Let Loose! On their spring programs, celebrating small and large moments in life, Mirinesse Women's Choir is performing "Bike Let Loose!" Flutist Linda Chatterton will perform This Floating World as a part of a recital in Moscow, Russia titled "New Art Generation," a Concert of Contemporary American Music. The performance will take place at The Concert Hall Vernadsky and features additional music by Lowell Liebermann, Roberto Sierra and others. Arc Duo will be giving the world premiere of Deciphering That Fire on Wednesday, November 20 at 7:30 pm at the New York City Classical Guitar Society! For more details, click here. The Estonian Philharmonic Chamber Choir will be giving the world premiere of Hill's Cancion de el Alma: en una noche escura during their 12 day US tour. The piece was commissioned through Minnesota Public Radio under the auspices of their 2012-2013 Choral Initiative - a series of on-air, online, and onstage programs to propel and enrich Minnesota's choral music community. The Estonian Philharmonic Chamber Choir will be performing at the Cathedral of St. Paul on Friday, November 22, 2013 at 7:15 pm. For tickets and other concert details, click here. For more information about the entire US Tour, visit the EPCC's website. Conductor Phillip A. Swan will lead the Lawrence University Women's Chorus, Cantala, in two performances featuring Edie Hill's The Bike Let Loose. The performances will take place at the Fox Cities Performing Arts Center in Appleton, WI. The Valborg Choir in the Netherlands will be giving several concerts in October featuring the world premiere of Hill's From the Wingbone of a Swan. For more information, visit Valborg Chorus's website. Hill will give a guest lecture on "The Birth of Music" to the public in Zeist, Netherlands at the invitation of Neils Moes and The Valborg Choir (Arpad Schermann, conductor). The lecture will be given in coordination with The Valborg Choir's concerts (October 5, 6, & 12) that will include the world premiere of Hill's From the Wingbone of a Swan. Stephen Self, organist and faculty member at Bethel University will be performing an organ recital in Great Benson Hall at Bethel that will include music by Bach, Distler, Hoddinott, Briggs - and Hill's "Windhover" for solo organ. For more details, click here. The music of Edie Hill will be featured as a part of the Schubert Club's weekly Courtroom Concert series on April 4 at 12:00PM. Admission is free of charge. Andrew Lamy and the Mixed Flock Orchestra will be performing Edie's Skylark from This Floating World at three public schools in Glen Ridge, New Jersey. The performances are not open to the public. For more information, visit http://www.andrewlamy.com or http://www.mixedflockorchestra.net/. Land Meeting Sky was recently featured in the Advent Library Concert Series in Boston, a series of events curated by composer and flutist, Matt Samolis. For more information and for future concert dates, visit the ALCS website. For more information about Matt Samolis, visit http://mattsamolis.org/.